Met up with Wee Ming to eat at the Prinsep Street branch. The seating capacity is rather limited. 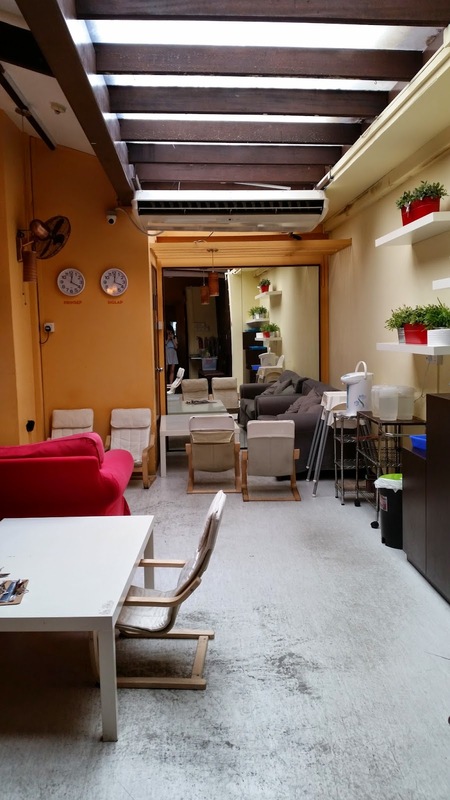 Even though the shop is a two-storey shophouse unit, seats are only on the second floor and it's also very narrow. 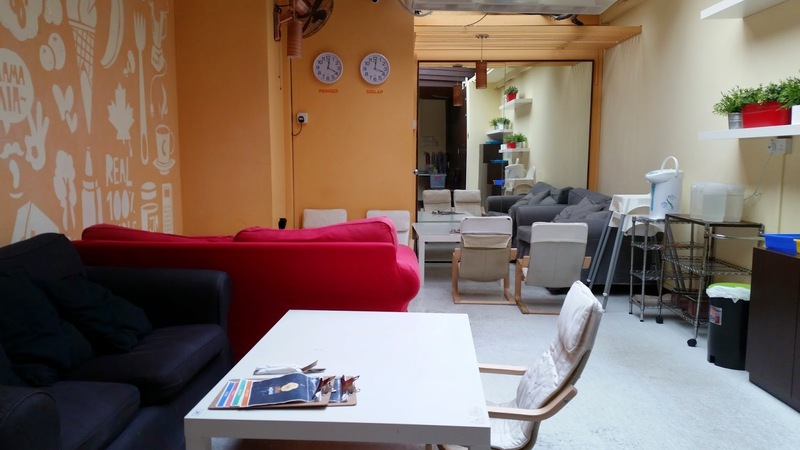 But there's this section at the end with natural light streaming in from the ceiling windows, cosy sofas and coffee tables. Looks relaxing and inviting enough! I decided to get a personalised order because the offered combinations in the menu wasn't exactly to my liking. And it happened to be cheaper too! The pancakes were quite fluffy, but it wasn't extraordinary. Strawberries were quite sweet, while the vanilla ice cream was alright too. 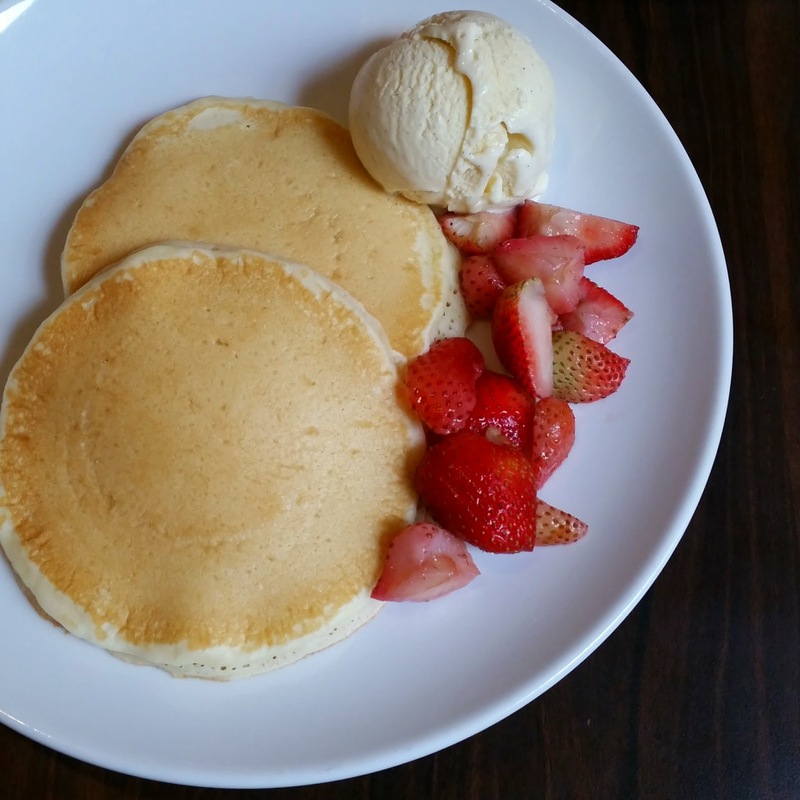 Ming ordered this and downgraded the pancakes from medium (3 pcs) to small (2 pcs) stack. Yeap you can downsize your pancake stack and it'll be a dollar less. 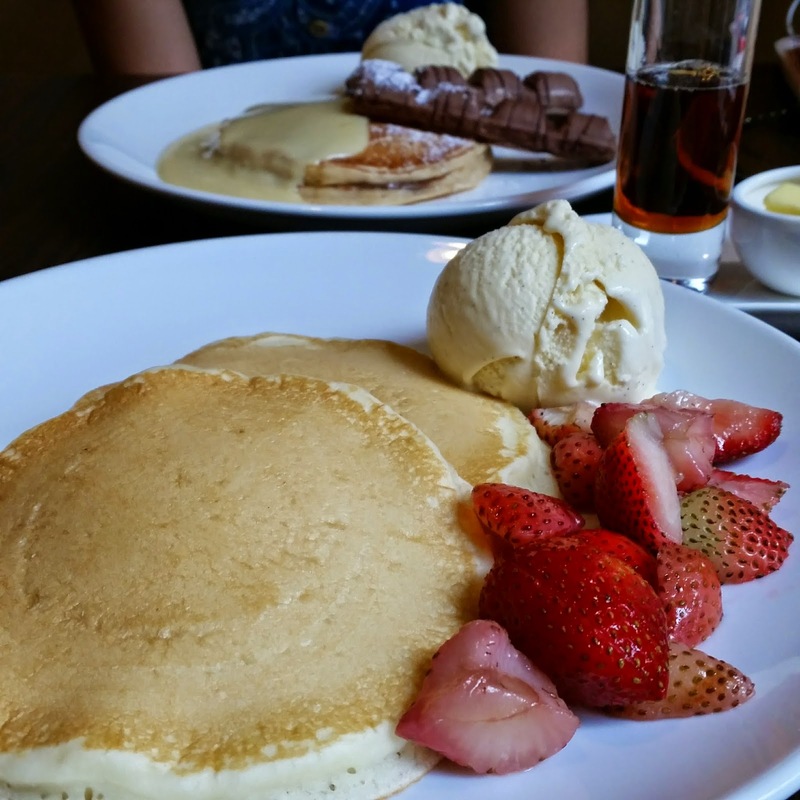 Because each pancake is slightly bigger than usual, so having 3 was a bit too filling. 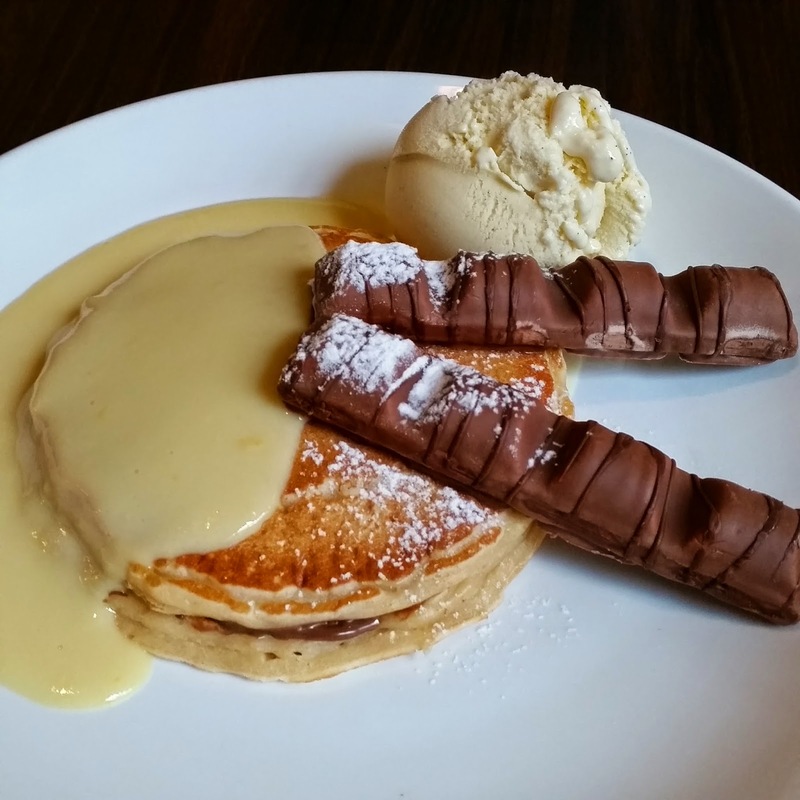 Anyway this dish of peanut butter pancakes is layered with Nutella served with Kinder Bueno and vanilla ice cream. 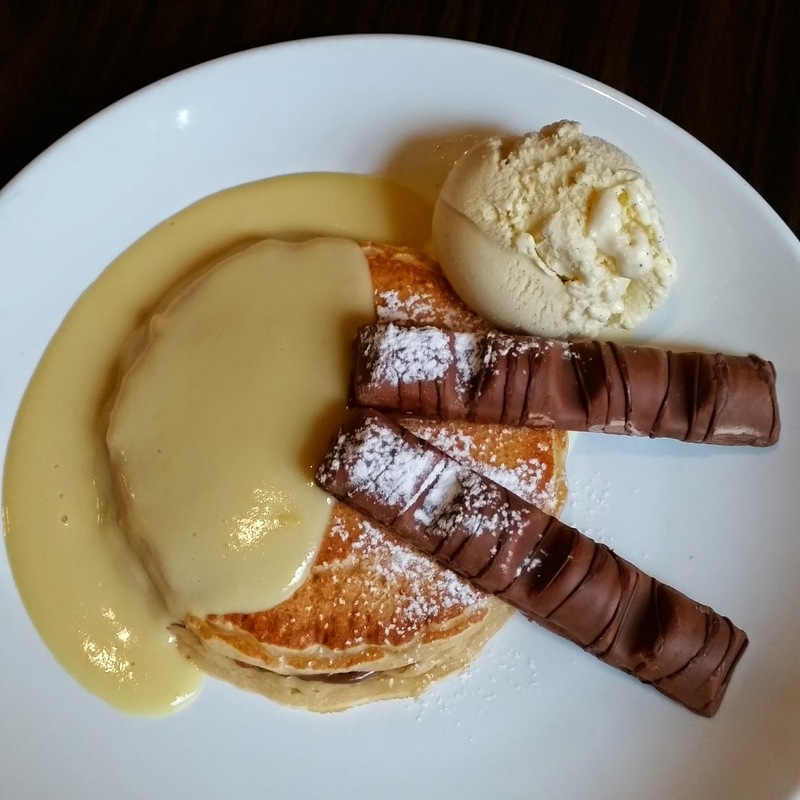 The peanut butter pancakes were nice, and the combination was lovely. I think anything with peanut butter and Nutella won't go wrong (usually). 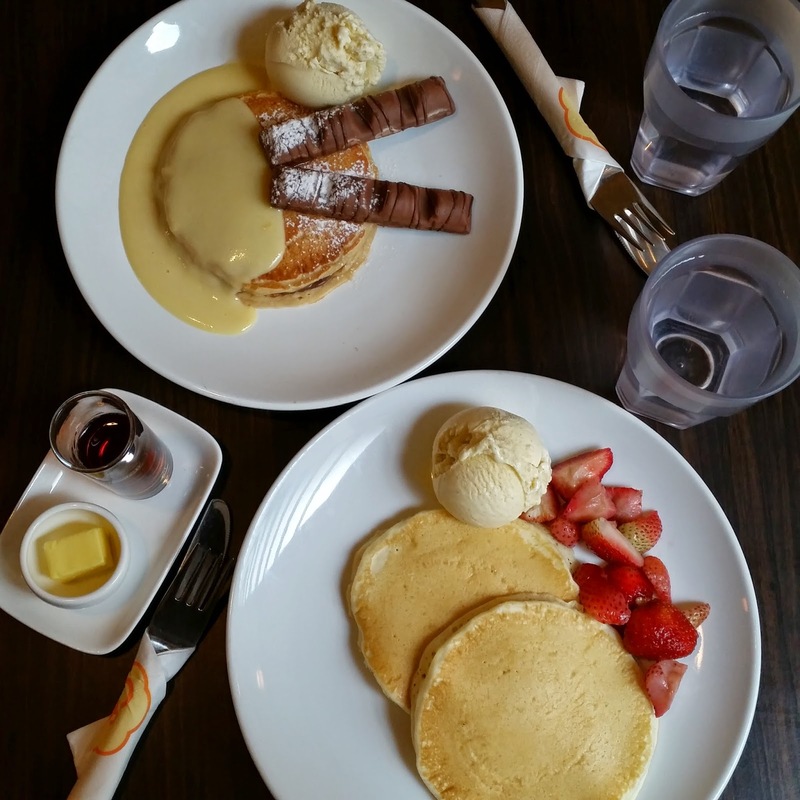 Strictly Pancakes has its niche of pancakes, be it sweet or savoury, and while it's good to specialise in a certain kind of food, I think it doesn't really stand out that much amongst the many other cafes that have pancakes. The variety of pancakes is fairly wide, but I feel it needs to come up with something else that allows it to stay ahead of the competition.